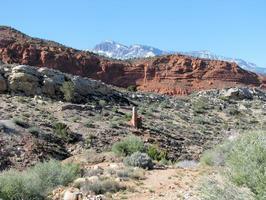 The mining activities around Silver Reef over the years not only changed the landscape, but left behind many other vestiges of those activities that can still be seen. 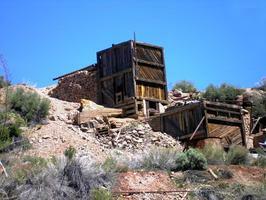 There were around 500 mine openings at one time in the Silver Reef Mining District. Most of these have been filled in or blocked to prevent human entry and possible harm. Several mine shafts with iron grates over them to allow access by our sizable Big Eared Bat population, can still be looked into by visitors. Tailing piles from the various mining periods are quite abundant, and the ruminants of some structures still remain. 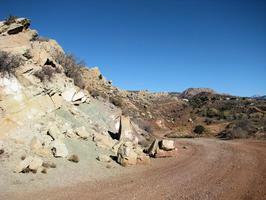 Most of them around Silver Reef, however, are on private land, as well as being hard to access due to unimproved roads. When accessing these areas, please be respectful of the owners rights. Obey any signs, do not try to enter fenced in areas, do not damage or deface structures, do not take anything that you may find, or leave garbage / litter behind. Entry is at your own risk, and the owner is not responsible for your safety, or harm inflicted by others or the property itself. 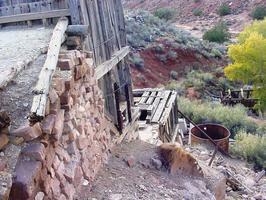 The most accessible mill and mine location is behind the Museum on Silver Reef Dr., and can also be reached by the West & Centre Streets Interpretive Trail. The viewpoint has interpretive signs talking about the Barbie Walker Mine and Mill ruins from the 1800"s which is visible across the ravine. 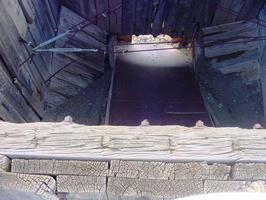 The most notable remains, however, are from the Western Gold and Uranium's floatation mill built in 1956, and run until 1959. 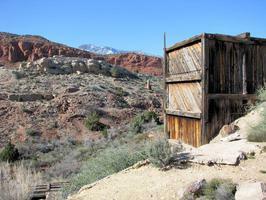 Once again both, of these sites are on private property, so please follow the guidance above.